GORKHA, Sept 15: Following complaints from trekking guides and porters of discriminating rates based on personal acquaintance, lodges and restaurants along the Manaslu trekking route have decided that they will charge them uniform rates from now onwards. Likewise, they will also charge the trekkers uniform rates, by implementing a set menu. The arrangement comes with an initiation from Manaslu Area Conservation Project (MCAP). Earlier, the lodges and restaurants used to charge higher rates to new guests for the same services and goods. All lodges and restaurants should mandatorily keep menus for their services from now onwards. MCAP Chief Narendra Lama said that the rates of foods and rooms in Samagaun and Chhekampar have been set, which will be effective from next week. The MCAP had formed a committee led by Ganesh Karki to settle the matter after the guides and porters complained of discriminatory prices. Guides and porters will need to get coupons for a fixed number of days at Sirdibas, the entry point of the Manaslu Circuit. The MCAP keeps the record of the trekkers, porters, and guides at this point. As per the new arrangement, the price of a vegetarian meal will be Rs 200, which one has to pay at the entry point. They have to give a coupon each time they take any service. The lodges and restaurants will get refund from the MCAP by submitting the coupons. 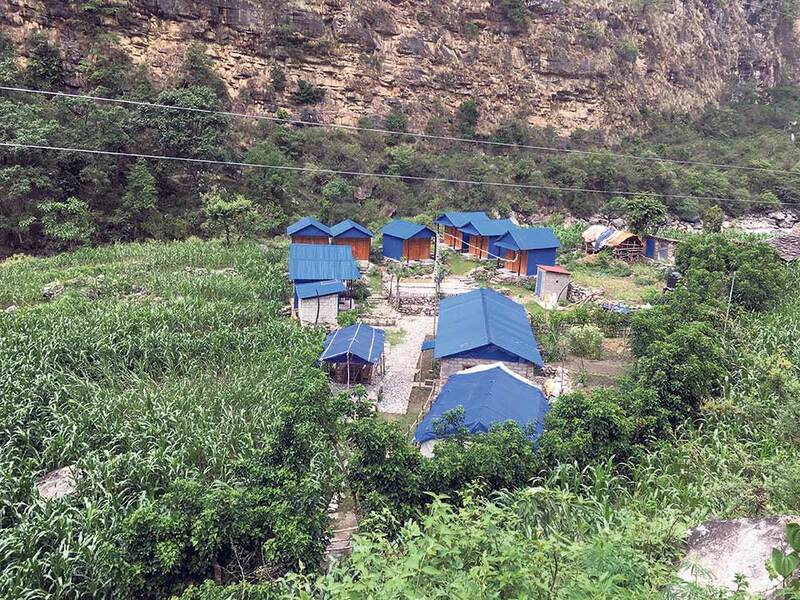 “Guides and porters were either enjoying food free of cost or their bills were included on the bills of foreign tourists, which would add up to their financial burden,” Karki said. The menu prices will be the same for Samagaun and Chhekampar, but the rates could be higher up the route depending on the distance as the businesses have to pay extra in transportation costs. However, there is a ceiling to such increment. Karki said that the new rule will relieve trekkers from being overcharged. The menu includes 20 items of foods for 34 locations. “We have prepared the rates after discussing with the hoteliers of all locations along the route,” added Karki. An estimated 7,000 trekkers go to Manaslu every year. A total of 15,000 guides and porters also reach the area. The MCAP has said that it will be monitoring the implementation of the menu. About 80 hotels and restaurants provide services to trekkers along the route.